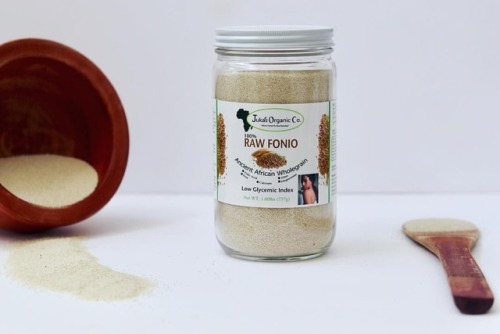 We are super excited that Juka’s Organic FONIO (Ancient African... – Juka's Organic Co.
We are super excited that Juka’s Organic FONIO (Ancient African Wholegrain) is the #2 best seller on AMAZON. Just after 4 months of launching this wholegrain, with no reviews yet but thanks to our reputation & our trusting brand, we have move to first page and now the 2nd top seller of this item. Truth be told, we thought we would have to do a lot of marketing and promoting for this item to sell well. But we are happy to say it’s one of our best selling items . This means a lot to us. It shows that people are taking healthy food serious and transcending borders to simply eat what’s best for them. (Swipe ️ for more pics :)). Also, it shows that a lot of people surprisingly know about this wholegrain. In case you don’t, here is the T on this superfood. Into Keto diet? Keep reading. This ancient Wholegrain is Potent in Folic Acid, Fiber, Iron, Protein, Calcium, Magnesium & Many More Nutrients That Is Essential For The Body. Our Fonio Is All Vegan And Great For Vegan Protein. It Also Has Very Low Glycemic Index Which Makes It A Great Substitute For Rice Or Any Grains For Diabetic Diet or Keto diet. To buy fonio, explore recipe or read more about this Wholegrain? Visit www.Jukasorganic.com or go to amazon.com and search for our brand.